It is true that there is no food like the food mum cooks for you! 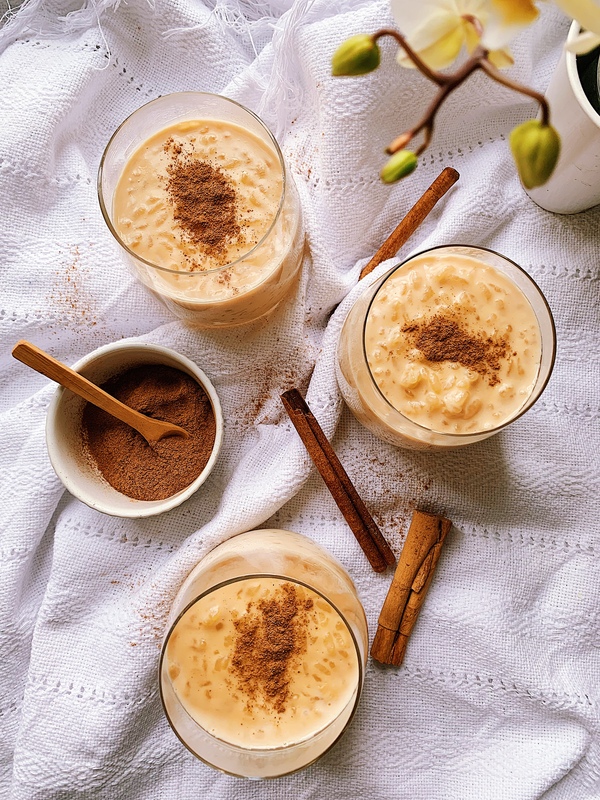 This arroz con leche is my mummy’s recipe, she taught me how to make it, so I can do it for my children and now Mexican rice pudding is my children’s favourite dessert! Soak the rice in the water 30 min before cooking. Put the rice to cook at high heat and add the pinch of salt and the cinnamon stick. Once start boiling lower the heat all the way down. Add the whole milk, the condense milk, the piloncillo and the vanilla essence. Stir from time to time making sure that it does not stick on the bottom; this is the most important step, because if it sticks on the bottom, that rice will eventually burn and it will change the flavour of the rice pudding. After 25 min of cooking, the rice has to be cooked through. Turn the heat off and let it cool slightly. Serve it in nice glasses and sprinkle some ground cinnamon and add some raising if you fancy. Hi Vanessa! Thank you for such a lovely comment! I am glad my to hear you like my recipes. I hope as well to write a recipe book one day. Is this best served hot or cold? Hi, both ways are good, depending on the person. Here my son loves his arroz con Leche hot and my daughter likes it cold.